For the UK ESRC Festival of Social Science a few of us took over Chapter Arts Centre, eager to showcase the range of research we’re undertaking in PLACE. During the two-day event we explored different meanings of place, its role for future sustainability, as well as the innovative methods we use to study it. 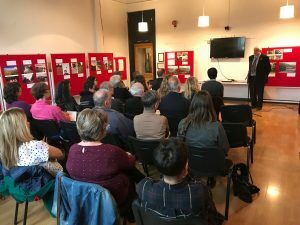 The event was coordinated by Matthew and featured an exhibition, talks, panel discussions, cinema screenings and interactive workshops on our current work on sustainable place-making in communities in Wales, Portugal and Malaysia. We began with the experience of rural communities and discussions of future rural policy before moving to urban places, concluding with a critical discussion of the concept of the City Region. Catia’s exhibition presented her two case studies and reveled aspects of using visual methods in her research. The exhibition aimed to promote and invite attendees to watch the results of her work: two twin documentaries. 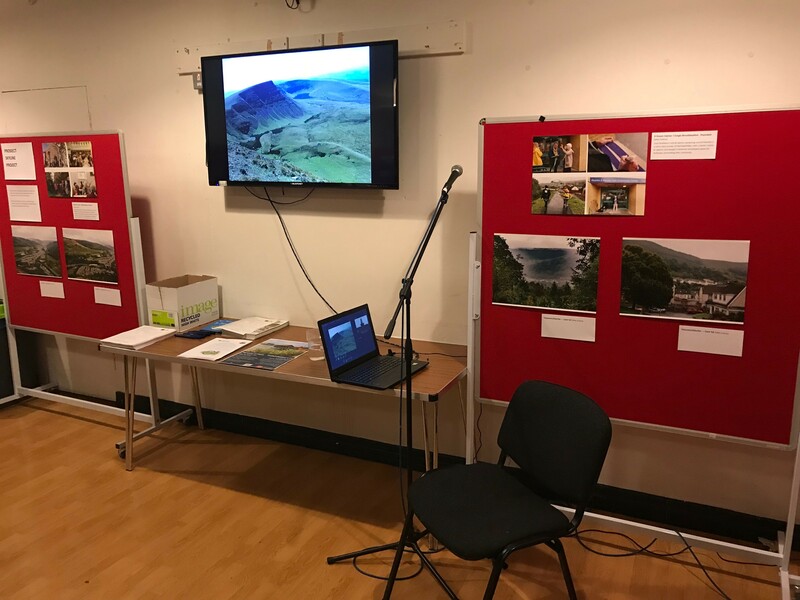 The first documentary, Place Ambassadors – shaping better place to live and visit, co-produced with a community from Brecon Beacons National Park was followed by a panel discussion. 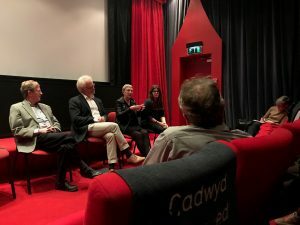 Moderated by Sara, the panel was composed of Catia, Richard Tyler (Sustainable Tourism Manager at Brecon Beacons NPA), and two research participants/actors who took part in the documentary. This brought up different perspectives about the documentary and its development process, but also reinforced one of our main aims: designing more participatory, less extractive forms of research. The second documentary, Sensed Place, was screened the following day. Its panel was composed of Catia and Lorena, and moderated by Mathew.Unfortunately, it was impossible to have participants from Carvalhal de Vermilhas, Portugal. Nevertheless, both Lorena and Mathew, who met the community and watched the film together, were able to share their experience. This discussion was very fruitful since some of the attendees had seen both screenings and were able to compare them. Alice brought together a collection of photos taken from the five community gardens in her project. These photos contributed by the community members themselves, represented human-place interactions and moments of experiential learning within the gardens. She briefly explained the purpose of her project: to explore community gardens as spaces of learning for university students with the aim of co-creating curricula in education for sustainable development. On the first day she asked participants to consider what issues should be dealt with by sustainability education, the skills needed, and how these could be taught. On Friday, one participant raised the important issue that it depends what we mean by the term ‘sustainability’ and Saturday’s interactive session focused on exploring the diverse and often conflicting meanings of sustainability. In the interactive session, participants started with a list of statements following on from “Sustainability is….” with specific examples such as carbon taxation, ethical consumerism, and renewable energy. Participants could then stick ticks or crosses next to various statements and use post-it notes to add their comments or add new statements to the list. This extended to include issues multiple issues from direct democracy to eliminating use of plastics. Gloria contributed with an exhibition and and a presentation of Project Skyline. This is a feasibility study run between July 2018 and April 2019, which aims to explore the potential for community land stewardship in the South Wales Valleys. The three communities involved in Skyline are Treherbert, Caerau and Ynysowen. Lorena‘s exhibition decorated the entire southern wall with photos taken by young people from Cardiff Capital Region. The summary published in The City at Eye Level and the essay in Metro and Me can give an idea of what her project entails. Besides the exhibition, Lorena hosted a crowd-mapping session, exploring individual senses of the city-region. 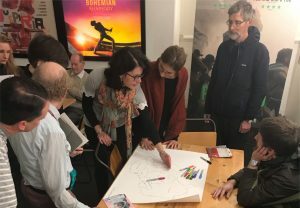 Participants mapped the boundaries of the territory they feel attached to, and this served as starting point for a discussion about how the city-region is effecting change on different communities. In the panel discussion that followed Catia’s second documentary, Lorena talked about her experience of watching the film together with the actors – the inhabitants of Carvalhal de Vermilhas. Finally, the panel discussion that closed the entire event was a provocative debate with Kevin Morgan and Matthew Quinn about the different development narratives co-existing in Cardiff Capital Region. In the end we counted around 200 attendees who impressed us with their level of engagement, considering it was a rugby weekend in Cardiff. 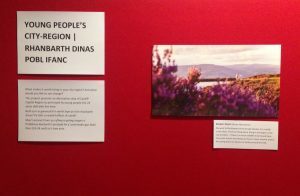 We were happy to share our understandings of place as a focus for co-production of knowledge and empowerment to action, as a source of rich meaning and understandings, as a counterweight to economic agglomeration and uniformity, and as a connecting force for people and nature. We’d like to keep these conversations going, so don’t hesitate to get in contact with us!